Your SEAGATE Storage needs love regularly, and the old workhorse just doesn't operate the same after some time. Add mass storage to your SEAGATE Storage or beef up your expansion. You can daisy chain a second or third DAE with SEAGATE original FC cables from our inventory. 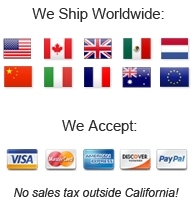 Worried about shipping charges? These ST336607FC HDDs can get heavy when purchased in volume and professionally packaged. You need to meet mission critical deadlines and can't afford heavy shipping charges which can exceed your budget. Our Buy-Online Free Shipping program is designed to save customers like you time and money. Why choose Econram Systems? We are a trusted SEAGATE Reseller of the Highest Quality Computer Hardware to the U.S. Government, Military, Universities & Fortune 500 Enterprises. Providing a wide range of Factory Sealed, Used and Refurbished ST336607FC hard drives, along with adventure and exploring the great outdoors, has been our calling since 2002. We offer competitive discounted pricing, bumper to bumper warranty and daily worldwide shipping on the SEAGATE Equipment & Spare Parts you buy from us. Econram adheres to Strict Quality Control, Anti-Counterfeit Inspection & Military Standards (MIL-STD). Econram offers SEAGATE ST336607FC Warranty, SEAGATE ST336607FC Maintenance and SEAGATE ST336607FC Hardware Support!